Fascinating study looking at patterns from 509 million tweets from 84 countries. 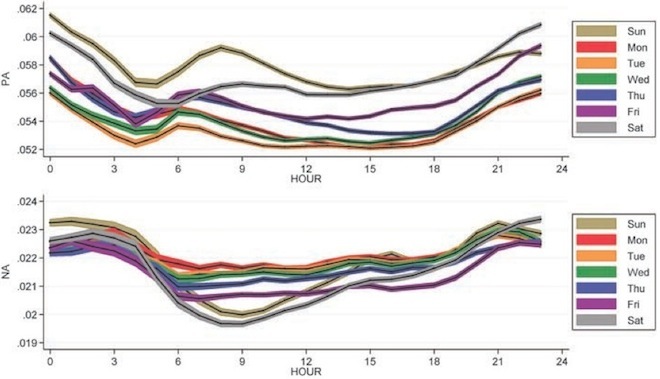 An analysis of mood patterns distilled from half a billion tweets has produced a civilization-scale picture of how moods rise and fall in tandem, over time and across the world. The details seem intuitive: positive feelings peaking in the morning, dipping during work and rising at day's end; negativity accumulated over the workweek dissipating late on Friday afternoon.